Travel Announcement: Return to Russia! It's now official! I just purchased my tickets to Russia. :) Here I am, standing on the frozen Neva River in Peter. Glorious! Dates of the visit will be 23 February - 9 March. For those in the U.S., airfares on Aeroflot are incredibly cheap now. Nonstop flights from Washington, DC or New York City to Moscow cost only $492 USD roundtrip, including taxes. I can't even fly to many places in the U.S. for this price. Where to go? What to do? Suggestions for other intriguing driving routes from Moscow? Help me! :) I'm mostly interested in unusual people, wild and frozen nature and village life. Museums, Orthodox churches, and standard tourist attractions aren't really important to me. If there's interest, I can try to arrange a reader gathering somewhere in Moscow the second week. Although I'm not sure where in the city is convenient for most people? If you know a good gathering place, like a restaurant or pub, please tell me in the comments. I'm excited for the trip, to see if attitudes toward an American visitor have changed since my visit last February when I attended the Olympic Games. Since then, relations between our countries have shifted dramatically and even here on my blog I've noticed more anti-Americanism and hostility, even when the topic of my posts have absolutely nothing to do with politics. Btw, I'm sure many of you saw Ilya Varlamov's post hanging in the TOP all day yesterday, but if not I suggest you give it a read. 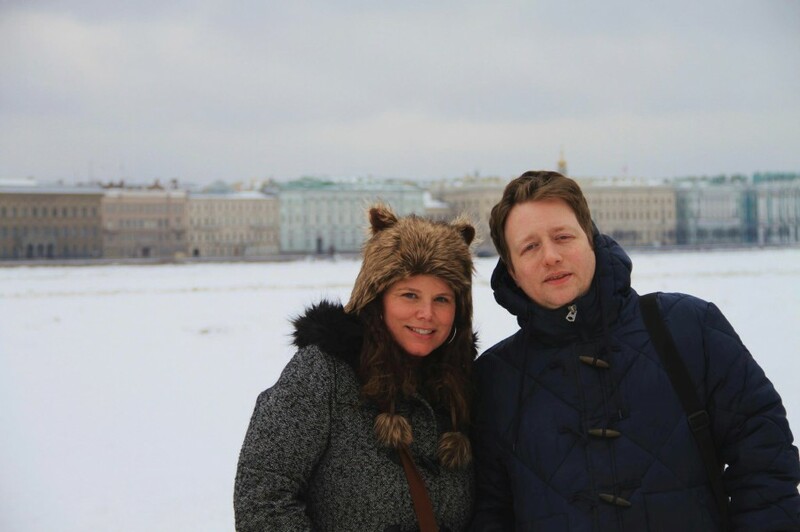 A foreign tourist's brutal impressions of Russia. Her story makes my first Russian post seem like a fairy tale. I think she was harsh in her review of the country, though she's certainly entitled to her opinion. It's especially amusing to view the reader comments to the story (over 4,000 of them now!!). Russia - your country remains a fascinating place for me, and I'm very happy to return! Advise Kazan. Beautiful city. Cheboksary, Vladimir - a typical Russian hinterland. Siberia - yes, I really want to visit! But it's too far to drive. :( I would have to fly or take the train, and I'm not sure there is enough time during my visit to fit it in. You can speak to Sasha about Yoshkar-Ola and Kazan (he lives in Kazan actually like my sister). I like your hat!!!! My son has one alike! And my daughter! I am thinking about myself!!! привет ) как круто 8 марта у нас большой ЖЕНСКИЙ праздник. было бы круто увидеть тебя и пообщаться в эти первые дни весны! Привет! Yes, it will be nice to be in the country on 8 March. We don't celebrate this holiday in the U.S. I like Aeroflot very much! I've flown them before to Russia, and prefer this airline over Delta (the U.S. carrier flying from JFK to Moscow). Rent a bike and go to Murmansk. "Like"? Well, it's kind of a hard question to answer. I can't imagine living there, but I like to visit because life there is very different than America. This is why I like traveling in the country, to experience a completely different way of life and culture. I will not arrive until 24 February, so I'll miss Defender of the Fatherland day. But I've been there before on this holiday, during my first journey. "Universewithme Jin": "I am the owner of this picture. You copied my picture and used without permit. It is really illegal. You are against the law. Delete all my pictures and text. Do not use me!!! " "Is there any lawyer? Please help me!! Some Russian used all my pictures without asking permit. Now I got too many traffic and messages from Russian. He used me. This guy is against the law. He used all my picture without asking!!!" Sure, as I wrote above I think she was careless in her actions. However, I think Varlamov should have asked her permission before publishing her story, esp. since he's a copyright Nazi himself. Suzdal is more interesting than Vladimir. Foreign students are very fond of the local brewski. Wow, interesting. Have you been to Novgorod before? This is a weird choice. Still, I would take #1. Yes, I've been to Novgorod - see http://peacetraveler22.livejournal.com/38909.html.